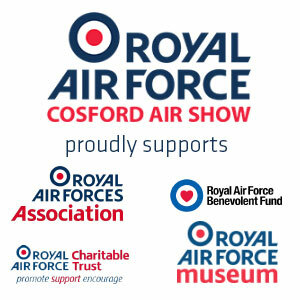 Welcoming over 50,000 members of the public, the RAF Cosford Air Show is the largest one-day event in the Midlands. With over a kilometre of Trade and Exhibition space, this is an opportunity to showcase your goods you won’t want to miss. For more details about trading or exhibiting at the Air Show, download our Traders & Exhibitors Guide. Our Science, Technology, Engineering, and Maths hangar is one of the most popular areas of the show for people of all ages to visit. With interactive displays targeted towards younger generations looking to join the fields, the STEM Hangar is an ideal location for highlighting your organisation to like-minded individuals and encourage young people into the fields of STEM. Contact us for more information on how you can be part of it!